I confess I have a sweet tooth! What does that term really mean? For me it means I am so much more interested in dessert than the main course and if it includes chocolate well that just makes me extra happy! I have mostly given up processed sugar so I find other healthier ways to incorporate my version of a sweet treat. Now when it comes to LOVE there truly is nothing sweeter!! The sweetness of a text that says “Good Morning my Sweet Love”! The sweetness of BIG hug that just swallows you up! The sweetness of a passion filled kiss from your LOVE when they return home after being away! The sweet sound of their voice on the other end of the phone. 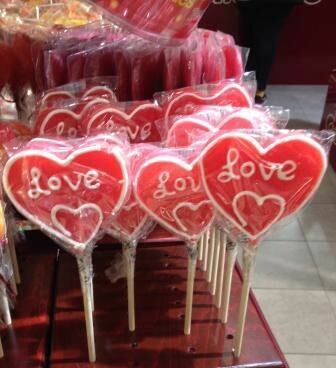 And let us not forget the deliciousness of making sweet Love…mmmmm!!! It would seem to me that the word LOVE and the word SWEET go together in our vocabulary more often than I ever realized. When I look up the word SWEET in the dictionary this is what I discovered – It means: Loveable, Kind, Pleasant, Satisfying, Enjoyable, Rewarding, Pleasing, Appealing, Attractive, Delightful, Adorable, Loveable & Charming. Sounds to me like I just described the perfect LOVE! I truly believe there is a reason why we refer to our beloved as our SWEETHEART. (That word puts such a huge smile on my face) Because GREAT LOVE is SWEET. It is one of the most DIVINE AND DELICIOUS parts of being alive. It is essential to our well being and it is to be nurtured and cherished. My picture this week is an adorable reminder that love truly is sooooo sweet!!!! I encourage you to take some time this week to do something sweet for someone you LOVE. This entry was tagged Chocolate, Create Great Love, Delicious, Great Love, Lollipops, Love, Love Candy, Passion, Sweet Love, Sweet Tooth, Sweet Treats, sweetheart. Bookmark the permalink. Thank you Toni so much!